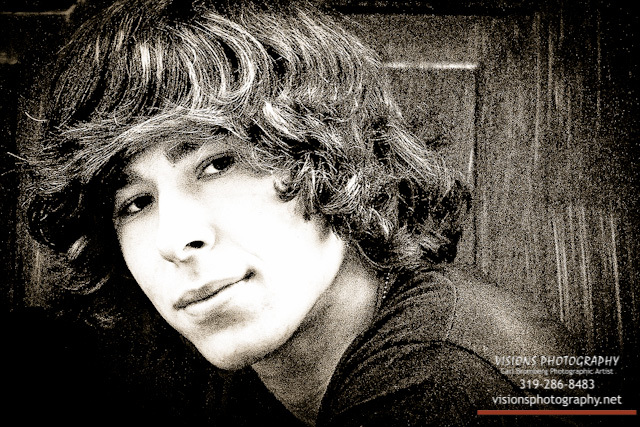 Are you tired of the same old senior portraits? Do you want something that represents the REAL you and is different from all your friends? 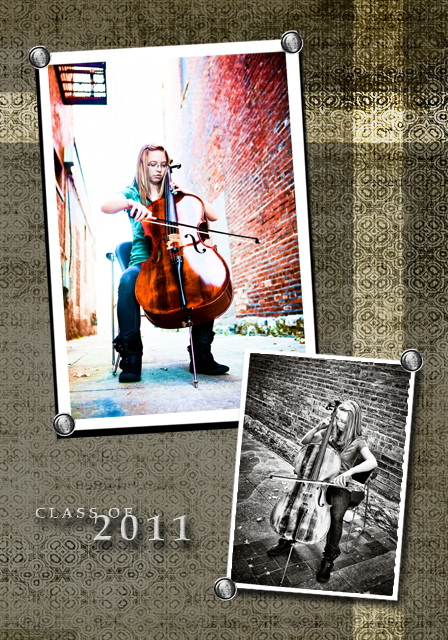 How would you like to be treated like a top model or rock star for your Senior Portrait Session? We are excited to bring you a new package, something no one else in the area is offering. 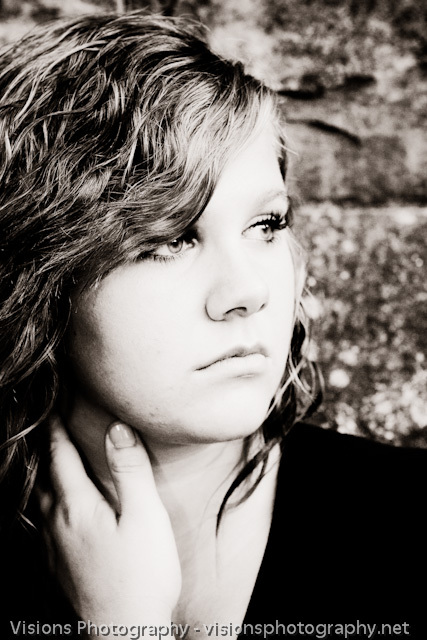 We are so happy to be able to bring this type of Senior Photography to Eastern Iowa. Special thanks to SAVVY EXCURSIONS LTD. Limousine Service and Dina Alsaid for working with us on this project. The limousine will pick you up at your house, bring you to the studio for your makeup which will be done by a professional makeup artist. 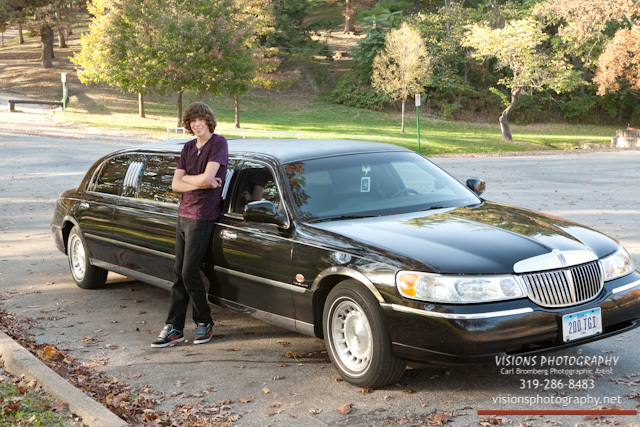 We will then get in the limo to take you to three locations of your choice for pictures. The makeup artist will come along for any “touch ups” that may be needed. I will also have an assistant to aid in making the lighting for each image extraordinary. We will also provide snacks and beverages of your choice to munch on along the way. Parents and friends are also more than welcome to join us in the limo. This new package includes the session fee, limo, makeup artist, photo assistant/ assistants, in-house proofing session, online gallery, $350 in studio credit you can use for any product we sell, and 120 wallets. As with any of our packages, include friends or pets for free, no limits on clothing changes, no extra charge for black and whites or special effects. 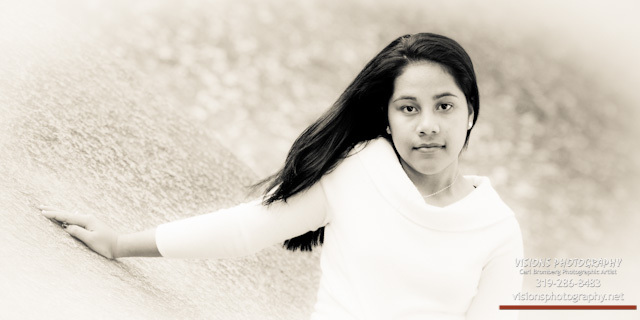 This will be a photo session you will remember for the rest of your life! 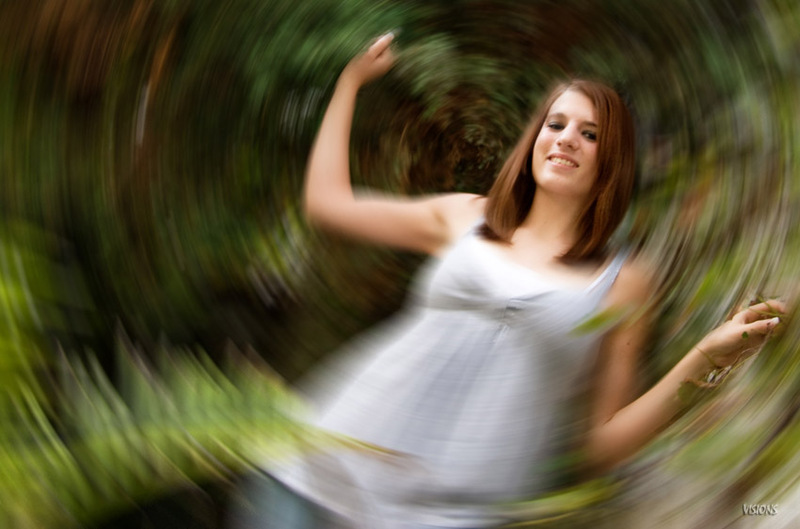 All this for an introductory package price of $750 plus sales tax, a savings of $245.00 off the regular price for this package, which will be $995. 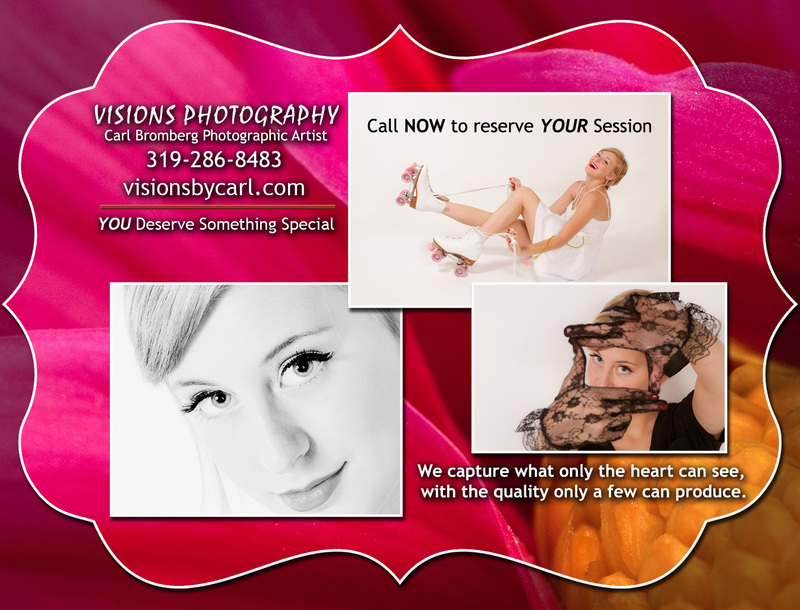 Call NOW to book your session!!! 319-286-8483 This offer will end on June 30, 2012.